This gently tapered trowel has a blade that narrows from 8cm at the top to 4cm at the tip, making it easy to work without damaging any surrounding plants. Great for digging, potting and transplanting in tight spaces like containers, small beds and borders. 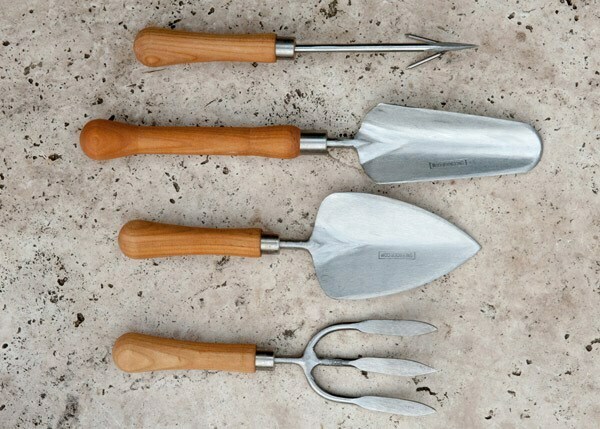 The trowel is forged from rust-proof stainless steel, polished, sharpened and finished with a slimline smooth cherry wood handle. Supplied with a 10-year guarantee on steel parts (1 year for the handle).